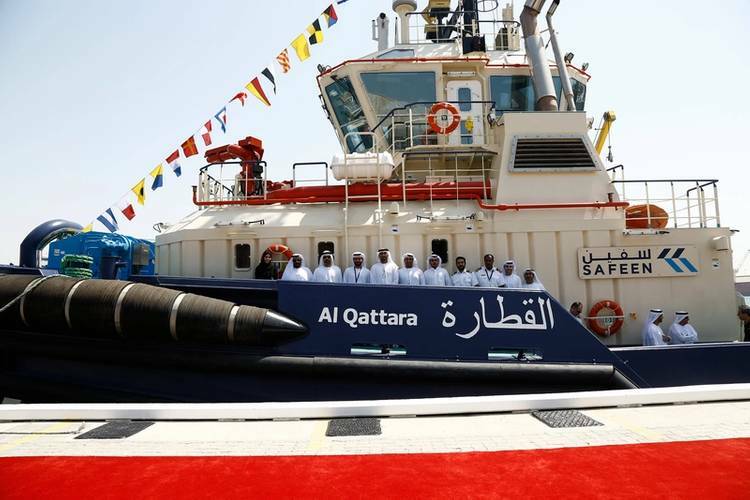 Safeen, the marine services subsidiary of Abu Dhabi Ports, supporting the operations of the network of ports and harbors across the emirate of Abu Dhabi with a range of maritime and quayside-support services, announced several milestones reinforcing Abu Dhabi Ports’ continued expansion. First, three new state-of-the-art tugs, specializing in towing and escorting the world’s largest ships that now regularly call at locations in Abu Dhabi, have been integrated into Safeen’s existing fleet. The 75 BP ASD Azimuth Stern Drive tugs based at Khalifa Port can support the latest generation post-panamax container vessels capable of handling some 18,000 TEUs (standard 20-foot containers). According to Abu Dhabi Ports , the acquisition of the tugs reflects the increasing demand in the first half of 2016, reiterating the status of Abu Dhabi’s ports as among the fastest growing in the world. With their strategic location, the ports serve as gateways to the Middle East, Africa and South Asia region that is estimated to be worth $10 trillion by 2020. 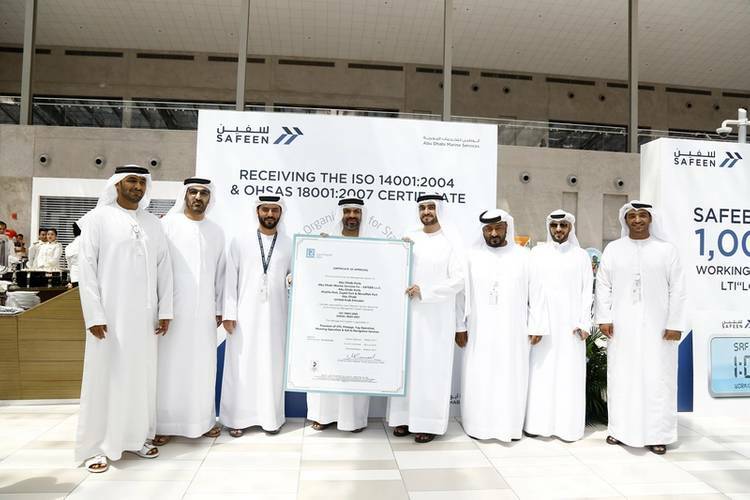 Furthermore, Safeen has received ISO 14001: 2004 recognizing best practices in environmental management systems, and the OHSAS 18001: 2007 issued by Lloyd’s of London certifying best-in-class occupational health and safety in the maritime, shipping and logistics sectors. More recently, Safeen passed an important work safety milestone, clocking up some one million working hours without lost injury time. “In line with Abu Dhabi Ports’ remarkable expansion, we aim to sustain the growth momentum and more importantly, do so in a safe and environmentally responsible manner. Safeen follows a community-orientated approach that is complemented by the professionalism of all our staff and partners,” added Capt. Al Houqani. Launched in 2013, Safeen has made progress in its three years of operations and currently boasts nine tugs, five pilot boats, six speed boats, one buoy maintenance boat and two oil-spill response boats. In addition, Safeen regularly achieves industry distinctions from leading international bodies, including the International Maritime Organization (IMO) for safety management, the International Safety Management (ISM) certification and the International Standard for Maritime Pilot Organizations (ISPO) - the industry gold standard. Safeen offers a wide host of maritime services including vessel services (tug services, towage, pilotage), vessel trafficking services (VTS), mooring and ancillary services (such as Bollard pull test, quayside services, fresh water supply, garbage disposal, bunkering, issuing of permits), diving services (including underwater inspection and filming), bathymetric surveying, ferry management in the Western Region of Abu Dhabi, navigational services (waterways and channel maintenance) and marine workshop services.